Extension to a private house, South Dublin. 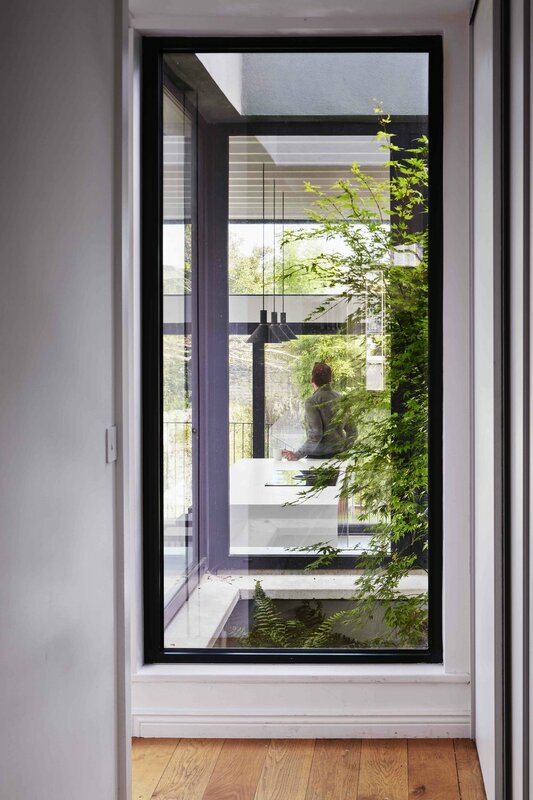 When the owners purchased the property, a two storey end of terrace in South Dublin, it had a small galley kitchen, a north facing conservatory and a drop of 2m to the garden below. Starting with the removal of the existing conservatory we made the original kitchen area into a secret utility room concealed behind doors along the hall connecting the front of the house to the rear. A small planted courtyard which pivots the circulation lets light in and gives views of a garden at the end of the hall. A disappearing corner along the line of the existing house hides the children’s playroom when required. 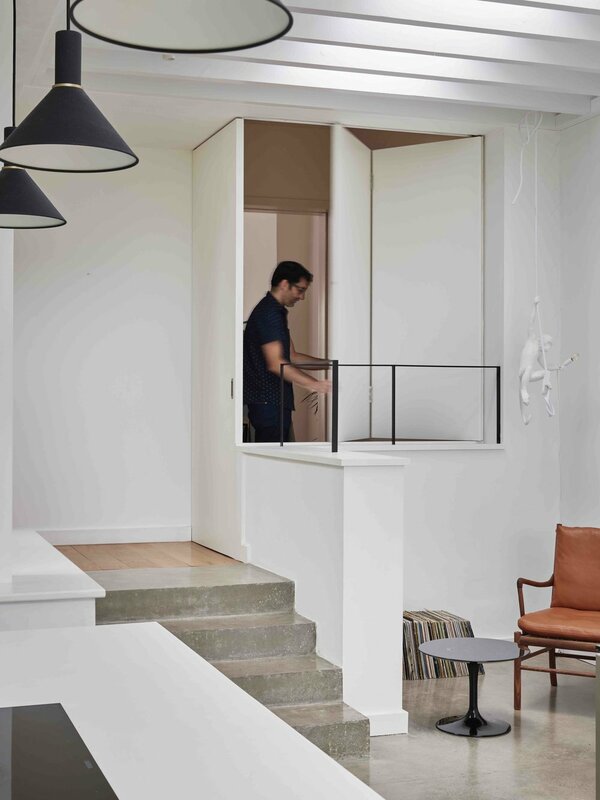 A small set of cast concrete steps from the hall to the new extension, which accommodates the new kitchen and dining area, begins to split the difference of the levels so the descent to the garden level is more gradual. 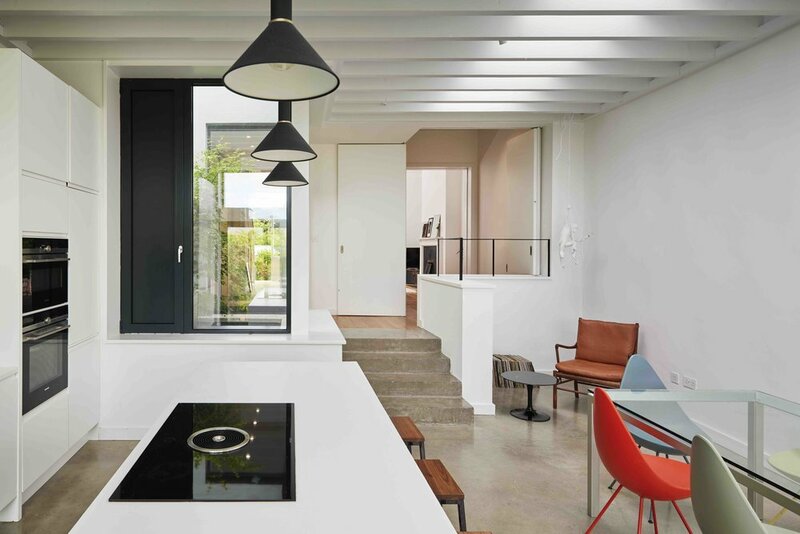 Along with light borrowed from the planted courtyard above, a roof light above the exposed ceiling joists make this a bright 'north facing' kitchen all year round. 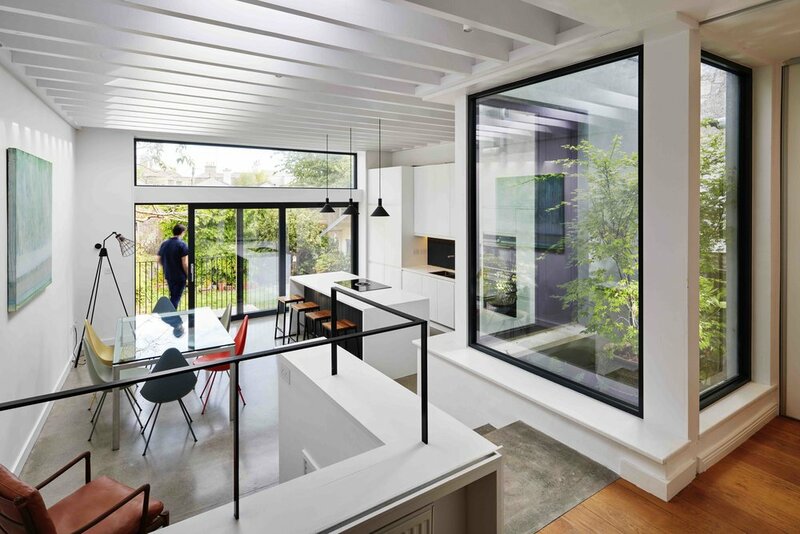 The split level resulted in an increased floor to ceiling height lending a more generous proportion to the new extension.